Have an old bulky fluorescent fitting in your kitchen which you want to change and modernize? Look no further than this great LED alternative. Featuring many benefits such as instant on - no waiting for the light to warm up to full brightness. Energy saving - save on those electricity bills, only 36 watts. Long lamp life - enjoy over 30,000 hours of lamp life. Designed ideally for use in the kitchen but equally suited to utility rooms and playrooms, anywhere you prefer a broad distribution of light with less shadow. Measures 1200mm in length and 123mm in width. 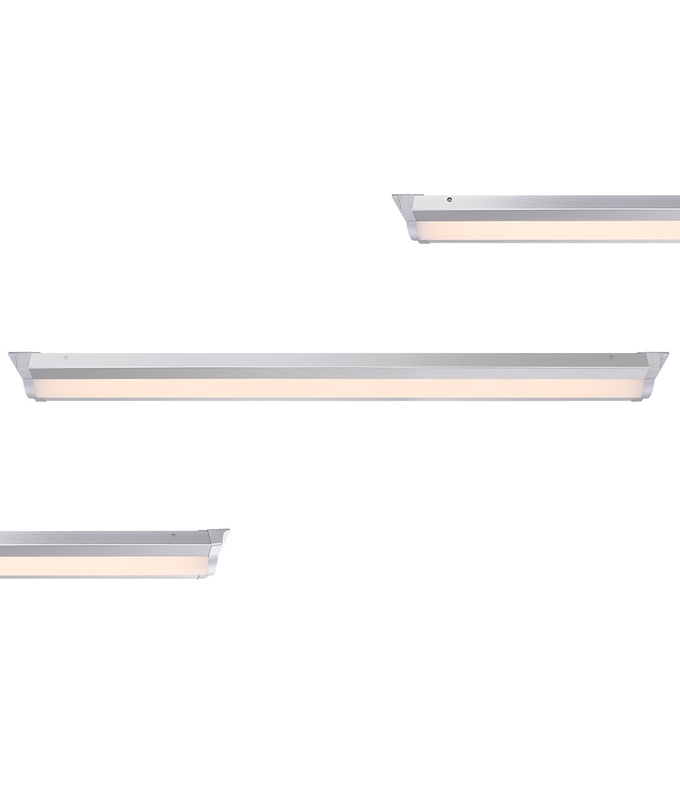 Comes supplied with a high powered 36w LED lamp, 4000k and 3600 lumens. This is great for the more modern kitchens with grey, slate, white and black kitchen worktops/cupboards. The cool white LED light bounces off this shiny colours creating a stunning effect. Yes this is a high powered 36w LED lamp, 4000k and 3600 lumens.